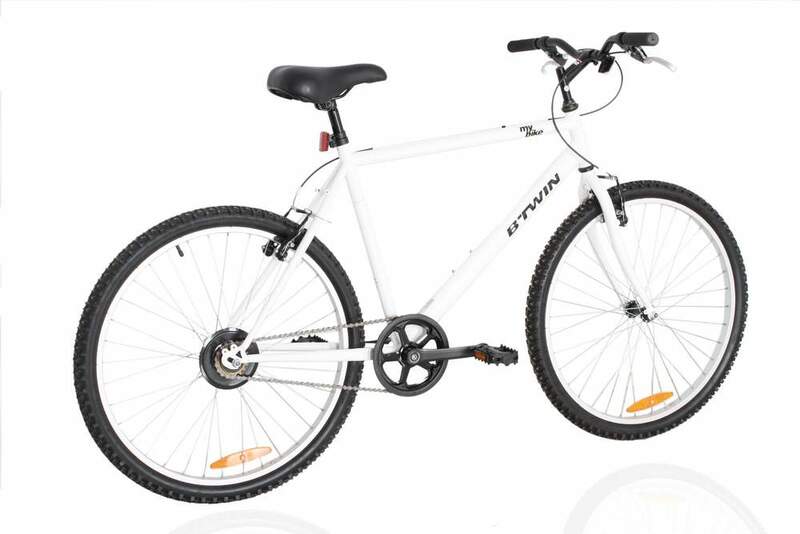 These offers are free with the purchase of the Btwin My Bike White (2016) Bicycle. The Btwin MY Bike White 2016 is built with a light weight Steel frame designed with a comfort oriented geometry and excellent durability for urban cyclists. This single speed bicycle from Btwin is equipped with a single speed gear ratio ideal for smooth riding. 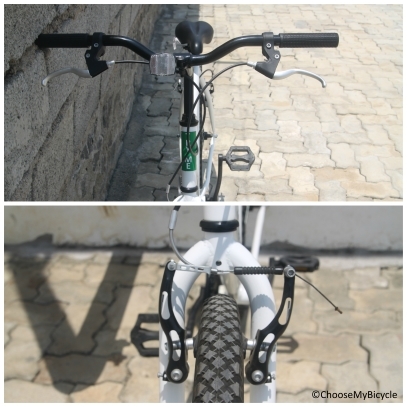 Alloy V-brakes in the MY Bike White 2016 are consistent with an accurate braking perfect for quick halts. This bicycle has a pair of Ralson 26" X 2.00" highly durable tires designed specifically for urban riding. 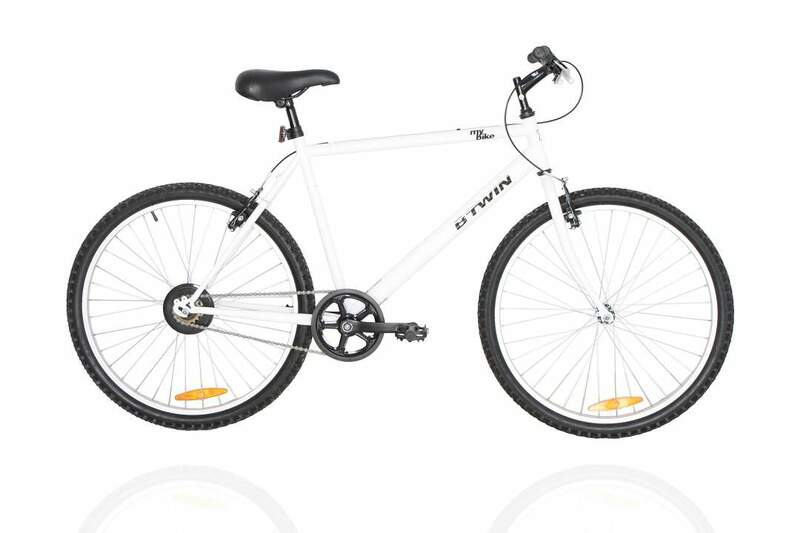 The Price of the Btwin My Bike White (2016) is Rs.4499. TheæBtwin MY Bike White 2016æis an entry levelæHybridæbicycle targeted at anyone looking to ride short distances for either fitness or commute inside the city. The Btwin My Bike 2016 single speed bicycle is a clear reminder of what bicycles were few generations back. All these niggles aside, this steel bicycle might just be the ideal answer to the quest for the economical Indian commuter. Yes, it might not be the most stylish or light weight commuter bicycle in the market, but for this rock bottom price the Btwin My Bike 2016 single speed can clearly be anyoneÈs first bicycle to own. 2. In what condition will I get the Btwin My Bike White (2016)? 6. How will I know if Btwin My Bike White (2016) will fit me without riding it? 7. How long will it take for me to receive the Btwin My Bike White (2016)?